The photo is from the artist’s trip to China in 1987. 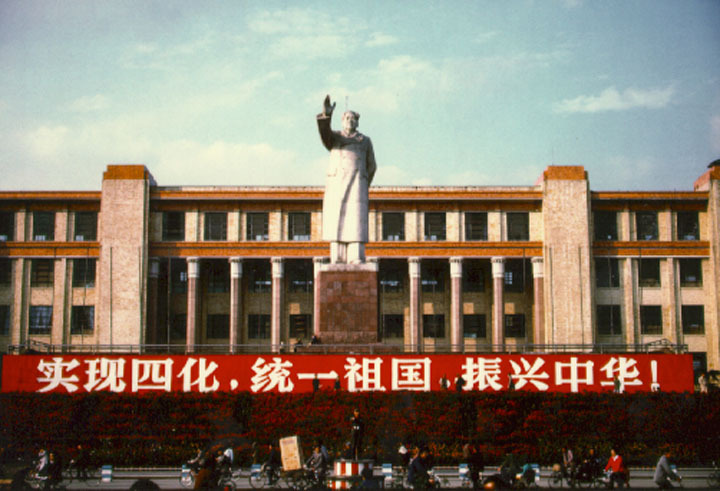 The statue is notable for its size and the banners — which are not Mao’s sayings, but Deng Xiaopeng’s: “Stick to the Four Modernizations, Unite the Country, Make China Prosper.” Nickel walked around the base of the statue and photographed from the rear. Mao’s right hand is a salute to the people but his left hand, hidden from view behind his back, is a tight fist.